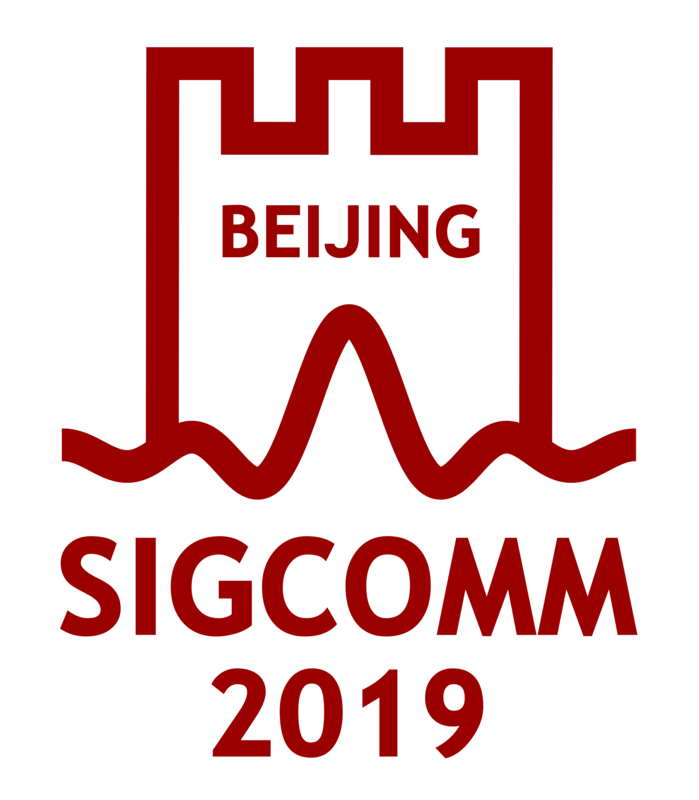 The Internet Measurement Conference is an annual conference focusing on Internet measurement and analysis, sponsored by ACM SIGCOMM and ACM SIGMETRICS. The aim is that papers presented at the conference contribute to the current understanding of how to collect or analyze Internet measurements, or give insight into how the Internet behaves. IMC 2019 held the week of Oct 21 in Amsterdam. General chair: Anna Sperotto (University of Twente), Roland van Rijswijk-Deij (University of Twente), Christian Hesselman (SIDN Labs & University of Twente). Program chairs: Robert Beverly (NPS), Phillipa Gill (UMass). IMC 2018 held October 31- November 2 2018 in Boston, MA, USA. General chair: Alan Mislove (Northeastern University), David Choffnes (Northeastern University), Christo Wilson (Northeastern University). Program chairs: Ben Y. Zhao (University of Chicago), Ethan Katz-Bassett (Columbia University). IMC 2017 held November 1-3 2017 in London, UK. IMC 2016 held November 14-16 2016 in Santa Monica, California, USA. IMC 2015 held October 28-30, in Tokyo, Japan. IMC 2014 held November 5-7, in Vancouver, Canada. IMC 2013 held October 23-25, in Barcelona, Spain. IMC 2012 held November 14-16, in Boston, USA. IMC 2011 held November 2-4, in Berlin, Germany. Program chair: Patrick Thiran (EPFL), Walter Willinger (AT&T). Sponsors: Endace, Akamai, AT&T, Intel, and the National Science Foundation. Local arrangments chairs: Yan Chen, Aleksandar Kuzmanovic, and Fabian Bustamante (Northwestern University). Program Chairs: Anja Feldmann (Deutsche Telekom Laboratory), and Laurent Mathy (Lancaster University). Technical program with accepted papers. IMC 2008 held October 20-22, in Vouliagmeni, Greece. Sponsors: Thomson, Intel, Akamai, Cisco, Microsoft Research, and the National Science Foundation. Local arrangements chair: Christophe Diot (Thomson). Program chairs: Konstantina Papagiannaki (Intel Research) and Zhi-Li Zhang (University of Minnesota). IMC 2007 held October 24-26, in San Diego, CA, USA. Sponsors: Thomson, Intel, Sprint, and the National Science Foundation. Local arrangements chairs: Colleen Shannon (CAIDA). Program chairs: Constantine Dovrolis (Georgia Tech University) and Matt Roughan (University of Adelaide). IMC 2006 held October 25-27, in Rio de Janeiro, Brazil. Sponsors: Thomson, Intel, Akamai, USENIX, and the National Science Foundation. Local arrangements chairs: Jussara Almeida and Virgilio Almeida, Federal University of Minas Gerais (UFMG). Papers: 155 submissions, 34 accepted (22%); extended abstracts: 63 submitted, 15 accepted (24%); full papers: 92 submitted, 19 accepted (21%). Program chair: Paul Barford, University of Wisconsin (Madison). IMC 2005 held October 19-21, in Berkeley, CA, USA. Sponsors: Cisco, Intel, Microsoft Research, USENIX, National Science Foundation. Local arrangements chair: Nina Taft, Intel Research Berkeley. Papers: 148 submissions, 36 accepted (24%); extended abstracts: 66 submitted, 14 accepted (21%); full papers: 82 submitted, 22 accepted (27%). Program chairs: Venkat Padmanabhan (Microsoft Research) and Darryl Veitch (University of Melbourne). IMC 2004 held October 25-27, 2004, in Taormina, Sicily, Italy. Sponsors: Cisco, IBM, Intel, Microsoft Research, USENIX, National Science Foundation. General Chair: Alfio Lombardo, University of Catania. Papers: 157 submissions, 38 accepted (24%); extended abstracts: 59 submitted, 19 accepted (32%); full papers: 98 submitted, 19 accepted (19%). Program chair: Jim Kurose, University of Massachusetts. Student travel grants: 18 awarded. IMC 2003, held in Miami, Florida, USA. Sponsors: Cisco, Intel, Sprint, Microsoft Research, USENIX, National Science Foundation. Papers: 109 submissions, 33 accepted, of which 73 were full paper submissions with 19 accepted (26%). Program chair: Mark Crovella, Boston University. Student travel grants: 22 awarded. IMW 2002, held in Marseille, France. Sponsors: Cisco, Sprint, AT&T, USENIX, Gemplex. Papers: 93 submissions, 41 accepted, of which 62 were full paper submissions with 15 accepted (24%). IMW 2001 held in San Francisco, California, USA. Papers: 53 full paper submissions, 14 accepted (26%). A primary reason IMC is able to keep registration rates low and enable many students to travel and attend the conference is due to the generosity of our many corporate sponsors and NSF's support of travel grants, for which we are grateful.